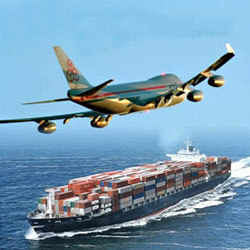 Sea – air freight is a perfect combination in multimodal transportation. Sea – air freight service of Oriental Express creates possibility to save your expenses and ensure your time requirements. Thanks to our good partnership with leading transit hubs such as Singapore, Hong Kong, Bangkok, Dubai, we assure to convey your goods smoothly and cost – effectively. Moreover, our trained staff will work hard to avoid and settle any problems so that our customers will be freed from all such headaches.